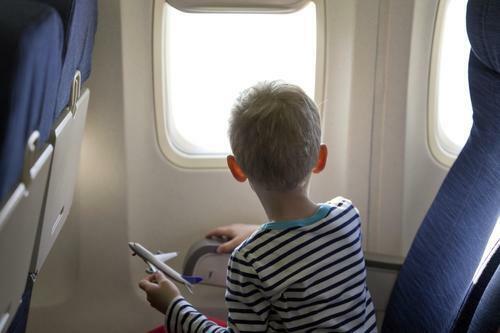 AA Travel Insurance has revealed that parents are using technology to make flights ‘easier’ when their kids are in tow, with 30% giving them a handheld tablet or iPad to avoid boredom or tantrums. A number of parents also admitted they relied on medication to get though a long-haul flight, with 10% saying they give their children medicine that ‘induces drowsiness’. This is according to AA Travel Insurance who polled nearly 2,000 of their customers on journeying with infants. The labours involved in travelling with children were also apparent when participants revealed how they ensure an easier journey with their child. Most parents (54%) said they made sure to bring a new toy for their child to play with, while over a third of others thought travelling with family and friends made for a more serene journey. 1 in 5 parents ensured they had plenty of snacks on hand while 17% insisted on booking flights in accordance with their child’s sleep routine. The AA’s survey results follow previous research undertaken by the travel insurer where they found that attitudes of passengers towards children were increasingly unsympathetic. Although 58% of participants agreed that passengers should exercise ‘tolerance’ towards young children on-board, nearly half of participants thought airlines should have “no kid zones” aboard flights. Entry to first-class areas was also a no-go for many passengers, with 20% preferring to keep the area kid-free. However, many parents were not keen on approaching the parent of a screaming child. Over half of participants claimed they’d be less inclined to take a child’s parent to task over their behaviour. Over a quarter of passengers, however, preferred to go a less confrontational route by asking a flight attendant for an alternative seat. It is seemingly unsurprising then that over half of parents have declined to ever make a mammoth journey with their kids in tow. Of the nearly 6,000 parents quizzed by AA Travel Insurance, just 23% claimed they’d taken their child on a long haul flight with them. Fig 1. Have you ever taken an infant/toddler on a long haul flight?